DARK MATTER, A SECRETIVE CYBERSECURITY COMPANY with links to the government of the United Arab Emirates, has been revealed to have been operating across Finland since at least 2014. According to a report in Helsingin Sanomat the company has been operating under the title Zeline 1, which describes itself as “a wholly owned subsidiary of Dark Matter” in its latest financial statements. Information on the Finnish Trade Register shows that Dark Matter has around twenty employees in Finland and has an active presence in Oulu and Tampere. The company has attracted widespread media attention in recent weeks due to revelations from former and current employees that it is heavily-involved in spying on journalists, dissidents, and human rights activists on behalf of the UAE government. Reuters recently reported that Dark Matter has been actively and aggressively recruiting former employees of the National Security Agency (NSA) in the United States as part of a growing cyber-warfare arms race. The bulk of the company’s operations are conducted out of a secretive compound known as “The Villa” in Abu Dhabi, where employees prepare and coordinate mobile phone hackings, ransomware attacks, and spying campaigns on people known to be hostile to the ruling monarchies of the UAE. Politicians, activists and the press have accused the company of systemic human rights violations. Dark Matter’s company website lists offices in Dubai, Abu Dhabi, and Canada, with no mention of any presence in Finland. However, the founder of Dark Matter, Faisal Abd al-Aziz Mohamad al-Bannai, told AP last year that the company operates “R&D units” in Finland, China, and Canada. The company also produces security hardware including a supposedly “hack-proof” smartphone called KATIM. It is known that Dark Matter approached start-ups in Oulu in 2016 to discuss the idea of producing smartphone technology. 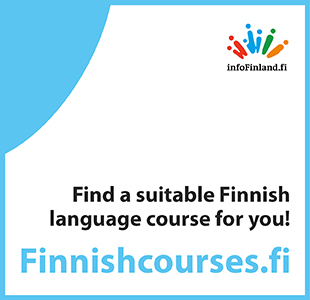 A number of Finnish engineers have since been recruited to work for the company. Other than this it is not entirely clear what Dark Matter is actually working on Finland, with no recent information being available on the company’s website or elsewhere. The latest financial statements for Zeline 1 show a total annual turnover for 2017 of over 6 million euros. HS also reported that the emails provided on the website for media contacts are defunct, and that no-one connected with Dark Matter’s Finnish subsidiary has been willing to comment on the company’s activities. The UAE has a long and well-documented record of espionage and human rights violations. Human Rights Watch has consistently criticized the country for its record of spying on and attempting to silence people critical of the ruling families, highlighting that the UAE continues to “arbitrarily detain and disappear individuals who criticize authorities”. Helsinki Times has attempted to contact Dark Matter’s main office in Abu Dhabi and is yet to receive a response.